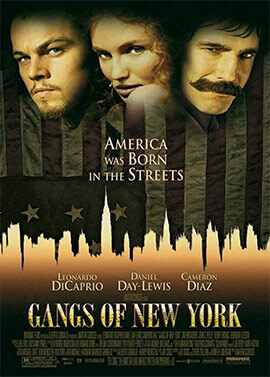 Gangs of New York is a brutal essay about the violent, dishonourable face of a fledging New York, itself a microcosm for an emerging America. Scorsese tells the tale of an almost third-world nation, swamped with immigrants and all the growing pains of expansion and modernisation, in a movie which acts as a harsh counterbalance to the American Dream found in schoolbooks. Scorsese’s Gangs of New York is an unusual film and was a break away from the Mafia genre, though his trademark violence and gritty gang portrayals remain. Some might call this movie a spiritual prequel to his Mafia movies, as it shows the roots of economic strife and social injustice that forge the bonds of organised crime. This America is the land of racism, mistrust and inequality, with Scorsese pulling no punches. Riots and street brawls, involving the police as much as gangs, are the order of the day. The story begins with a preparation for battle that could well come out of a fantasy movie or war epic, in which Liam Neeson’s Irish American character Priest Vallon dons his equivalent armour and rouses his stalwart men. Set in the slums underneath Manhattan, he could well be about to lead an army to war; which arguably he is, as they march with cudgels and cleavers to battle a native, protestant American gang. This scene, which depicts a real gang fight in American history, actually serves to introduce William ‘Bill the Butcher’ Cutting, a role played theatrically by Daniel Day-Lewis. Bill is the villain of the piece and an ostentatious character who may have initially put some viewers off the movie, but his absurdity is a fine symbol of the absurdity of the era; that this wonderful land of the free was more like a trap for the dispossessed. 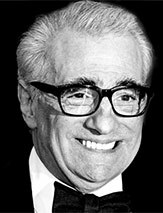 Scorsese forged a wise casting partnership with Leonardo DiCaprio for this movie, who plays Amsterdam Vallon, Priests’ son. His performance is nuanced and subtle, a counterpoint to Scorsese’s brutal cinematography and other more lurid characters, as his character infiltrates Bill’s gang on a quest for revenge. Revenge is indeed a strong theme for this movie which takes on a Dickensian feel as the plot unfolds and a parade of larger-than-life characters goes by, with Bill the Butcher being the largest, spouting surprisingly eloquent philosophies. Another such character is Jenny Everdeane, played by Cameron Diaz, a love interest for DiCaprio who outstrips him in toughness, colour and vivacity. There are touches of humour in Gangs of New York that are unexpected and welcome, adding to the theatrical feel of this story. Those expecting a dry, authentic recounting as seen in GoodFellas may be disappointed, but Scorsese wisely chose to depict this tale in vivid tones, not as a historical retelling but as a tearing up of the old history books. Cynical in places and contemptuous in others, about everything from American government to the state of humanity, this movie is Scorsese without the brakes on, portraying the bloody morass of history as a theatre of the absurd. The characters are enjoyable if never quite true, but this is part of the film’s shine. The performances of earnest DiCaprio and magnetic Day-Lewis are enthralling and perfectly balanced.